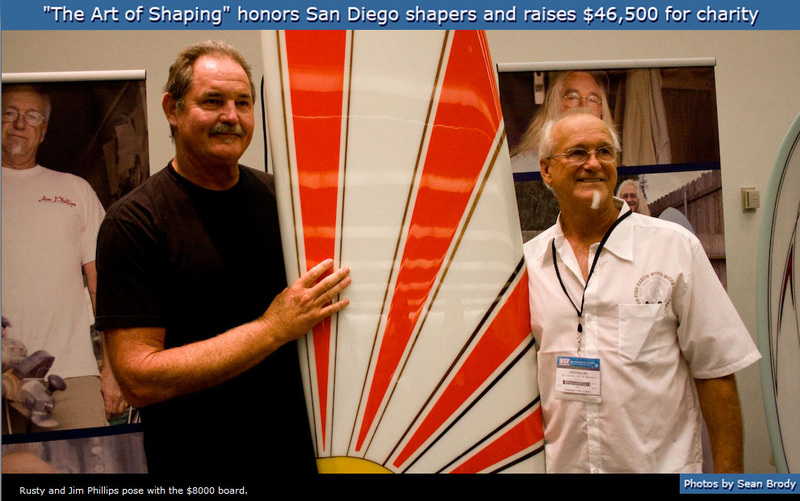 Friday night, September 11, 2009, to a packed house at the San Diego convention center, 23 of San Diego's finest surfboard craftsmen displayed the best example of their handy work in a Charity Auction. The auction was conducted by a team of professional auctioneers, raising the crowd to a frenzy with amazing works of the Shapers' Art, but item 21 brought the room to it's feet. 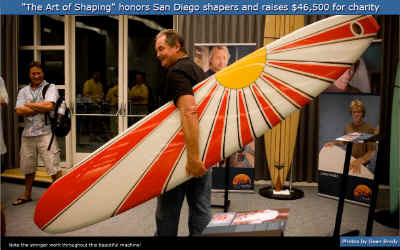 A 9 foot 2 inch presentation of one of Surfboards Hawaii's most famous riders, Billy Hamilton's Stylist I model. 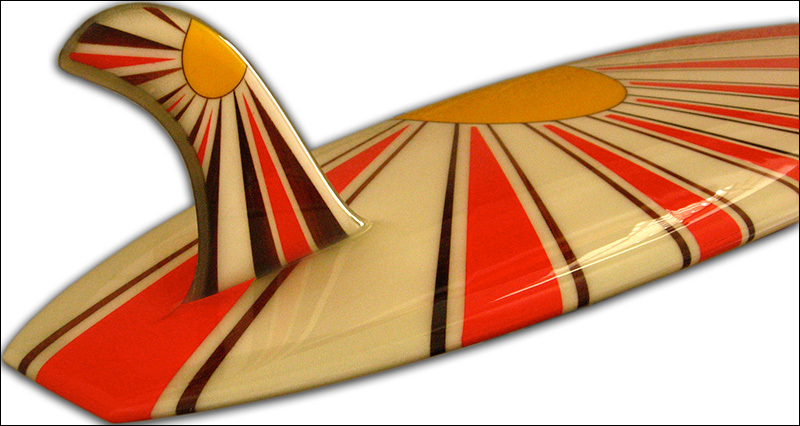 It had a sunburst stringer design reminiscent of Hawaii's Wayne Miyata's famous "Rising Sun" pigment color pattern. Bidding started at $3,000.00 dollars, quickly rising to a fever pitch and finally knocked down for $8,000! Rusty Preisendorfer, President of Rusty Surfboards, was the winning bidder for the board. Who was the builder of this magnificent piece of the Shapers' Art? None other than Jim "The Genius" Phillips, a 1964 graduate of Arthur W. Radford High School in Honolulu.